Elsa and Thore, both 81 years old, meet at a bridge club and fall madly in love. Neither knew they would experience love again so late in life. It feels amazing, but not everybody approves of their unexpected relationship. Secrets, greed and jealousy grow in both their families. Children and grandchildren, daughters- and sons-in-law, everybody seem to have their own motive to stop the romance. When Elsa and Thore invite their families to an engagement party in the archipelago, matters come to a head. And everything that couldn’t happen, happens. As Sure as Fate is a relationship-drama with warmth, romance and lots of black humour. 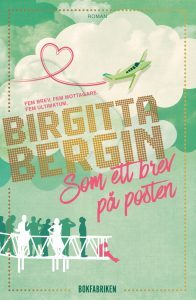 Birgitta Bergin’s style is fast, free and highly addictive.